Under a quantitative measure of the magnetic field, understand its induction. To take measurements of the magnetometer and set the sensor at the desired point in space, and then take readings. This can also be done with the help of the magnetic needle, which calculate its magnetic moment. When exposed to an alternating magnetic field in a conductor electromotive force occurs. Measure and calculate the magnetic induction. conductor, a sensitive voltmeter, the solenoid (long coil), the magnetic needle, and magnetometer. Measurement of the magnetic field magnetometers do this, take a magnetometer, which is also called the teslameter, it will measure the magnetic field at any point, enough to make it sensor and on the dial or the screen will appear the testimony. Measurement of the magnetic field solenoidality the number of turns and the length of the solenoid in meters. After that, connect it to a power source by including in the circuit the ammeter, remove it from the current reading in amperes. Then the number of turns of the solenoid times the current value of, the number you divide by the length of the solenoid, and the result is multiply by 1.26*10-6 (0,00000126). The result is the induction of the magnetic field of the solenoid. Measurement of the magnetic field of the reference magnet Take a thin magnetized needle. Secure it by twisting the dynamometer and put it in a magnetic field. The needle will Orient in a certain direction. Rotate the thread of the dynamometer, as long as the needle will not move from the equilibrium position, take readings. This will be an experimental effect. After that, take the solenoid and bring the needle to one of its ends, where the field has a linear characteristic. Changing the current using rheostat or by any other method, make sure that the force at which the magnetic needle is shifted, became equal to the experimental one. Calculate the magnetic field of the solenoid as stated above. They will be equal to induction of the measured magnetic field. Place a conductor in a magnetic field of a permanent magnet. Measure the length of the part that is directly in the field. After that, moving it with a fixed speed, take readings with a millivoltmeter, which will show the presence of EMF. 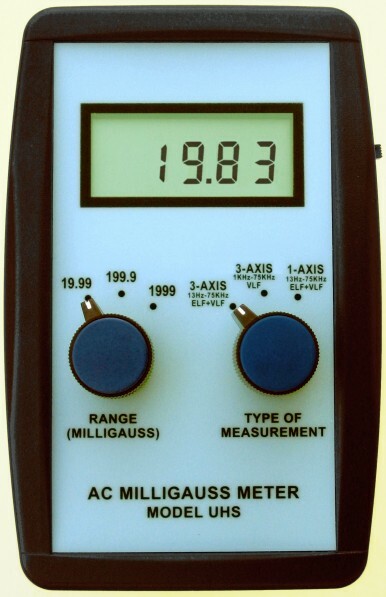 For the calculation of magnetic induction value of the EMF in volts, divide by speed in meters per second and the length of the conduit in meters. Measurement of magnetic fields using provodnista the strength of the current in the conductor with an ammeter, then measure its length and place in a magnetic field. With the help of a dynamometer measure force, which began to act on it. To get the value of the magnetic field will divide the force value in Newtons per amperage in amperes and the length of the conduit in meters. Many ways to measure magnetic quantities actually measured is not magnetic, and the electric value, which is magnetic is converted into the measurement process. Currently, there are many different devices and methods for measuring magnetic induction, magnetic flux and magnetic field. Better to use an electronic digital caliper that displays information in clear digital form and which is convenient to use, though really for accurate measurements it is more important than ease of use, and accuracy class of the measuring device. Of course, you can measure the dimensions with a ruler or micrometer, but we orientirueshsya to the normal use of magnets. Visualization of the magnetic field.